Am I Dreaming Too Big? Plan Big. The problem isn’t that people think too big; it’s that they fail to plan big. Dream as big as you want but don’t fail to create a plan to get there. If you don’t have action steps and deadlines in your calendar, you’re just wishing and dreaming and not doing. Strategize, structure, work plan your goals and dreams. No goals, no growth. Know the Worst Case Scenario isn’t Likely. No great plan ever gets accomplished without struggle. But people often think the struggle will be worse than it will be. So, if you fail, what’s the worst that can happen? People will judge you? They already do that. You’ll be broke? You’ve been there before. You’ll be sad? You’ve felt that before and moved through, too. Get over your fears and continue moving forward because life is also full of second chances. If obstacles come along, you will figure out a way to overcome them – you always have. You’re always stronger than you think when you’re fighting for a purpose. Think team. 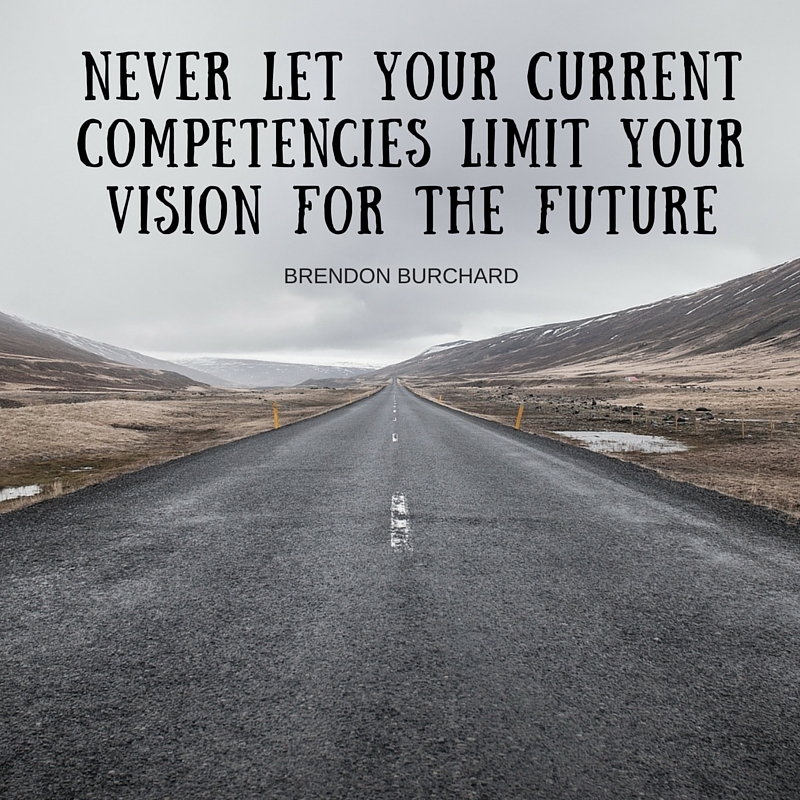 Don’t let your current circumstances or competencies limit your vision for the future. Other people can help you grow and progress. They can strengthen your weaknesses. Always think TEAM! You need support to achieve anything significant in life. Your dream is only too big if you haven’t enrolled anyone else in achieving it. Develop your skill set. If you want to move forward with your dream, you must schedule your learning and growth. What is required to succeed at the next level? What do you need to know? Start learning. What do you need to be able to do? Start training. Create your own curriculum for learning and get it on the calendar. 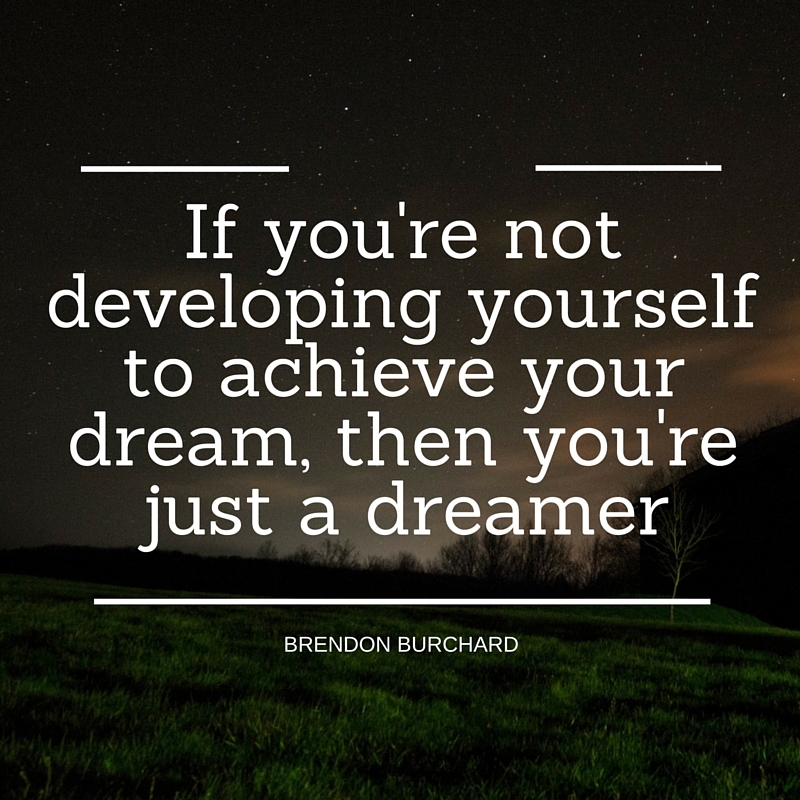 If you’re not developing yourself to achieve your dream, then you’re just a dreamer. Put these strategies into play. Live your dreams. Work for them. You’ll be on your path to #theChargedLife. Can you think too big? Can you have dreams that are just way beyond your reach? Can you have ambitions, desires, goals, things you really want to do with your life and they’re just never going to be possible? How do you know when you’re thinking too big? People ask me this all the time because they have big dreams and you think about The Charged Life, you want to live this vibrant, ambitious, challenging, major contributing life. You want to change the world but some people can’t even change their own world so, let alone changing the rest of the world is going to be a little difficult. So, how do you know what that barrier is? It never really gets into development mode. It’s in dream mode all the time. They’re two different things, right? Is there a written plan somewhere? Have you really structured it somewhere? And here’s the ultimate test. 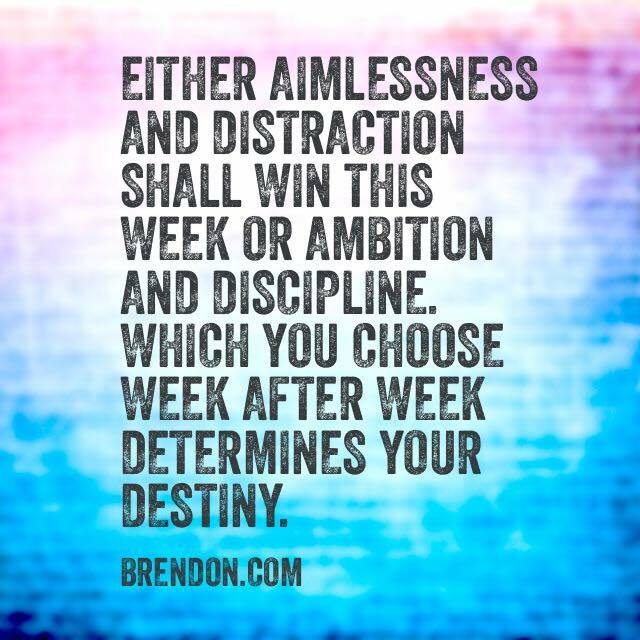 Can you show me on your calendar, the hours you’re spending this week focused on that, on implementing it? Not just ideation, implementing; where is it? Is it scheduled 1 to 3 o’clock on Tuesday? Is it your morning routine that’s moving you towards it? If you have a big, huge vision, goal or dream where is it scheduled on your calendar? If it’s not there, you will just keep operating towards the randomness of the universe. So, just keep kind of doing whatever, going over here, getting lost and distraction over there. So yeah, you’re thinking too big if it’s never landing on the small calendar. The second idea I think about is: To know whether or not you’re thinking too big is plan for the worst case scenario. What’s the worst case scenario? If you began it, you really got going along and it crashed and burned, what’s the worst case scenario? For a lot of people, it’s like, “Well, I’d go into bankruptcy” or “I would lose respect of somebody I care about” or “I’d lose my job” or “I’d lose this opportunity forever” and the reality is you know, well, while life is short, life is also full of second chances. And now, I’m blessed. Oprah.com named me as one of the most successful online trainers in history. I was right in the top 25 of all personal development leaders in the world. Why? It’s like look, so what? So what if you dream big and you try and people make fun of you? So what if they make fun of you? They’re making fun of you already. They’re just going to keep making fun of you. Now, maybe there’s more people making fun of you. How are you going to deal with that? You’re an adult, you can handle it. Come on, don’t worry so much about rejection. If you still worry about rejection, watch my YouTube video on the myth of rejection and that might help you a little bit get over that. But if you are thinking team. I mean, to go to the moon we needed all of NASA. We needed like literally thousands and thousands of contractors and tens of thousands of man hours that were separate from even the people who were paid to go to the moon. It’s like, you have to think of team. You need people to support you on a journey to a bigger vision. Have you enrolled them in the vision? Have you got people excited about it? Yeah, your dream is too big if you haven’t involved anybody else in actually coming up with it and achieving it. Last big idea is if you got a big dream and you’re not currently developing your skillsets to achieve it, then yeah, you’re thinking too big. You go to be thinking; like, if you want to go to the Olympics, the entire march to Olympics continues to be skill acquisition. The refinement of talent. Training, conditioning, over and over and over. Practice, practice, practice, practice. That’s how you achieve a big vision. So, look at your calendar. If you are not developing yourself to achieve a dream, then you’re just a dreamer. 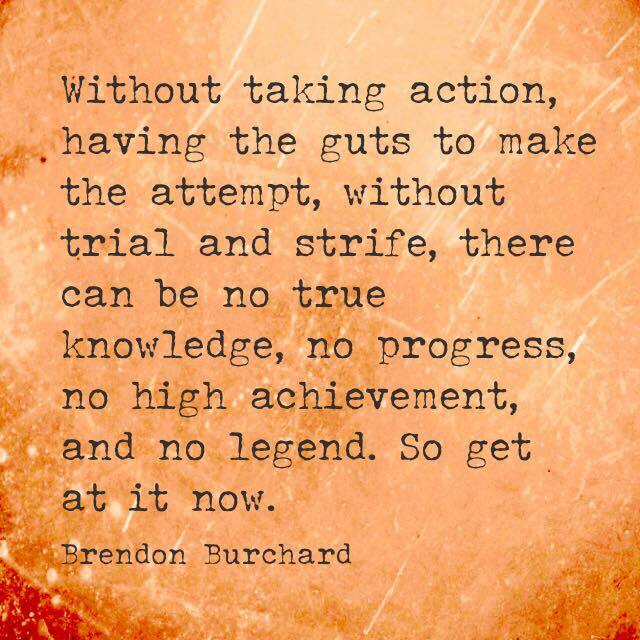 If you are developing yourself consistently with focused lesson plans, focused practices, developing that skill to be able to do it well, then you are on your way and you are not only going to achieve that big goal or that big dream, you are going to live what we call, The Charged Life.